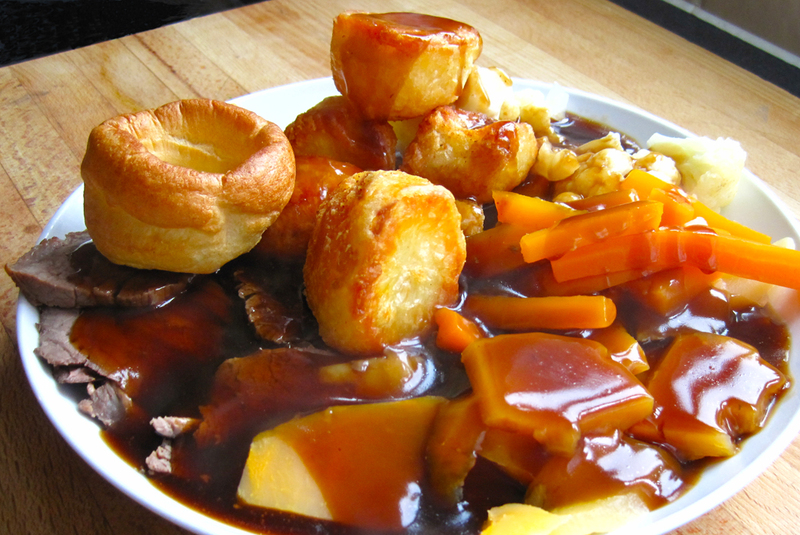 How to cook a Sunday roast; proper roast beef dinner and all the trimmings is simply the best and isn't as hard to prepare and cook as you might think. Please excuse my poor picture, it's not easy to photograph steaming hot food! As with most things, having the proper tools makes any job easier and OXO Good Grips have everything you need to make preparing and cooking food easy. 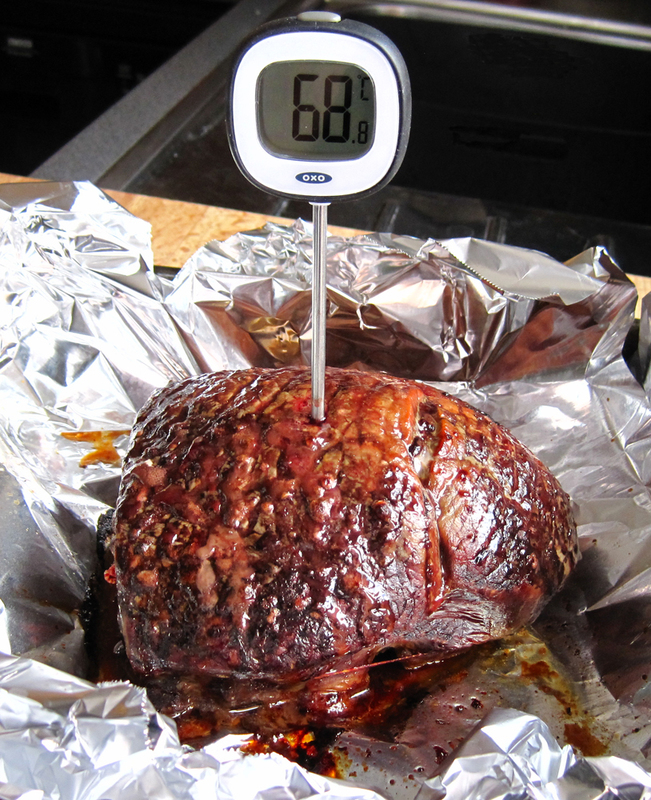 Having been sent a Digital Thermometer and the 'Y' Peeler from OXO Good Grips you can read how I got on and how to make Perfect Roast Beef. 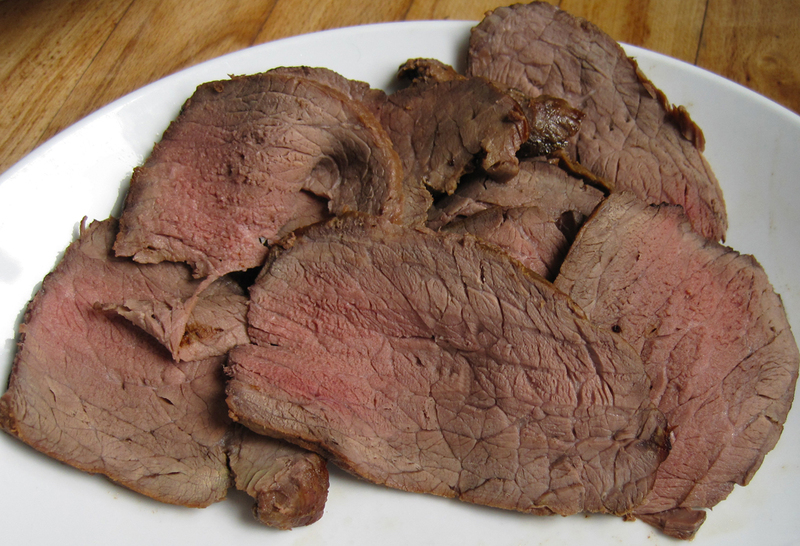 For me it's topside, which seems to be the most common cut of beef here in the UK. Since there are only the two of us I bought a larger piece than this, cut it in half and then you can freeze one half for another day. Pick a bit with a a nice bit of fat around and buy the best you can as there's nothing more horrible than chewy beef. Personally I'd have liked there to have been a bit more fat than this but I'd left it late on a Saturday which isn't the best time to try to buy a piece of beef. You could sit and read all day about how beef should be cooked, and every bit you read will tell you something different. All I know is this, I don't do anything fancy and it seems to come out perfect. As my kitchen is so tiny, honestly it's ridiculous, I always start by cooking all the vegetables and cooling them in ice cold water. You can read my post on how to keep the colour in your veggies. This works for me as I can clear up the kitchen and get on with the rest of the Sunday roast. The veggies are all cooked and ready to reheat in the microwave which mean less stress. 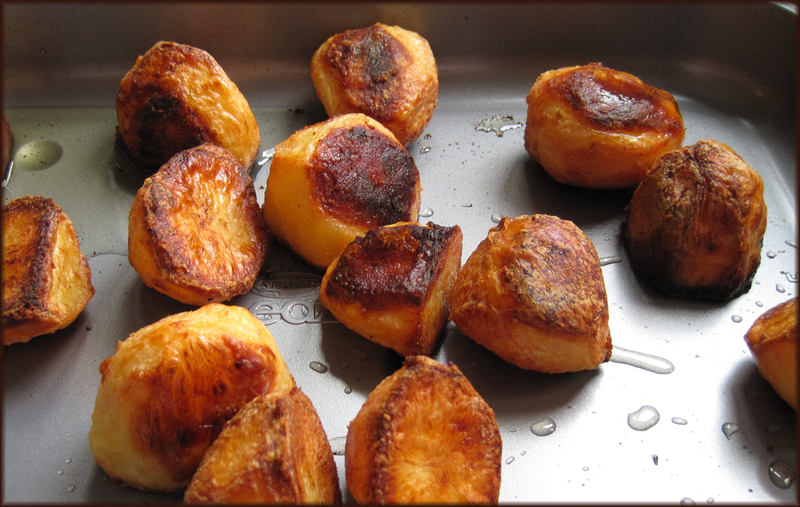 It is vital to preheat your oven first or the timings will be wrong. Rub a little oil over the beef and leave uncovered for 30 minutes to get to room temperature. 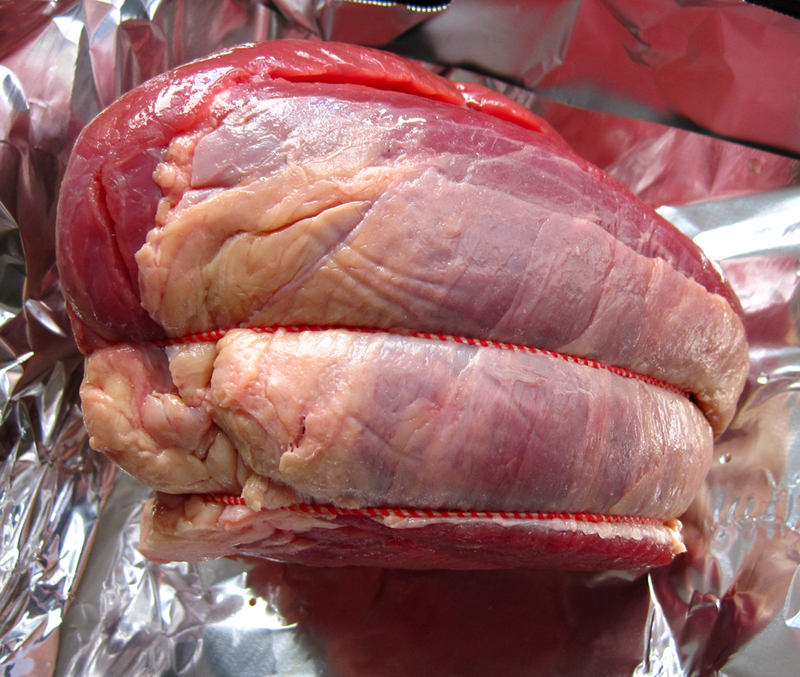 Place the beef on a kitchen foil in a baking dish. Why the foil? Because, it catches all the lovely cooking juices and doesn't make your roasting dish so messy, but the main reason is so you can add the juices to your gravy. Once the oven has come to temperature pop the beef in and remembering the oven is on full whack. My piece of beef weighs 1 kg and I cooked it for 1 hour before checking to see if it was done, although as I expected it took another 15 minutes to get to medium, with a touch of pink which is how we like it. I've used a meat thermometer for ages now because in my opinion, it's the only way of knowing (without prodding and poking about) if your beef is cooked to your liking, rare, medium or well done. This one from OXO can be changed to Fahrenheit at a press of the button seen on top which also switches it on and off. The battery can easily be changed by using a coin to open the battery door and it comes with a rotating storage sleeve which show the recommended internal temperatures of beef, pork, lamb, veal and poultry. I've found that 68c seems to be just right for medium beef as shown in my picture below. 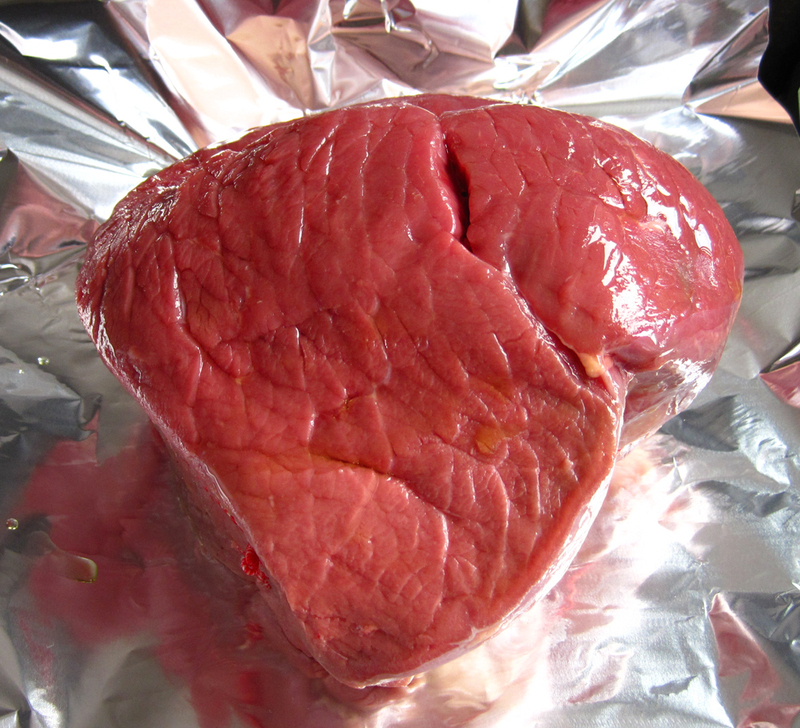 Remove the beef from the oven, insert the thermometer and at a glance you know it's going to be just perfect. Once your beef is right for you, wrap in the foil and leave for 30 minutes before carving, and add those lovely juices to your gravy. I won't go through this again since I have a post on lovely crispy roast potatoes here. 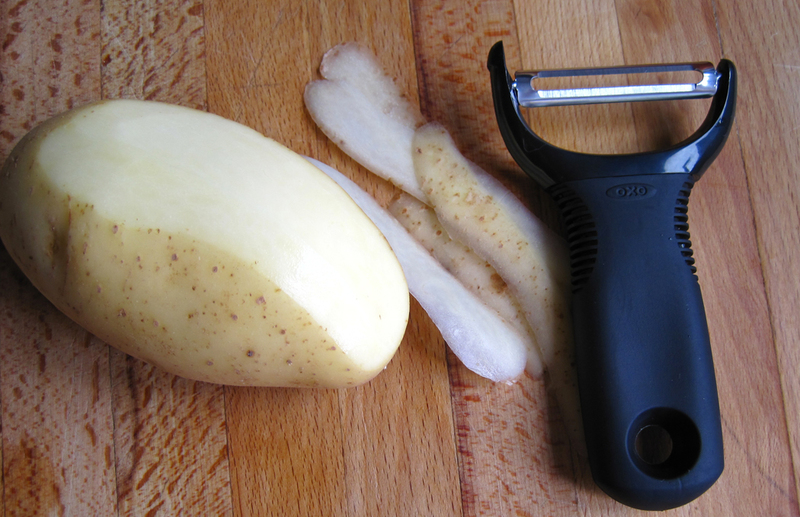 I love this Y-Peeler again from OXO Good Grips, it did the job in next to no time and the potato peelings were as you can see wafer thin. Easy and comfortable to hold and razor sharp and did a fantastic job of peeling carrots, swede as well as the potatoes. It also has a potato eyer for removing blemishes. Many thanks to Sarah and OXO Good Grips for sending me the Digital Thermometer and 'Y' peeler. Have you tried rolling beef in oyster sauce before cooking? It's a secret tip.